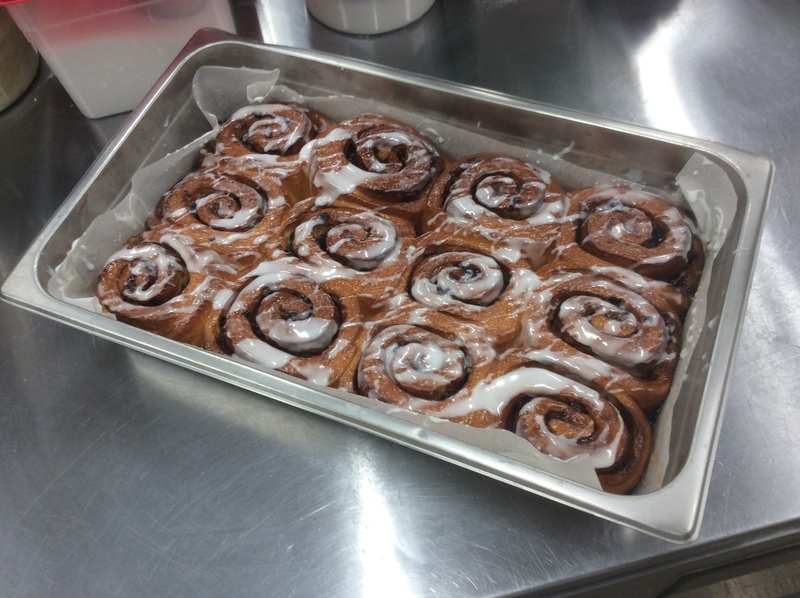 I’ve been pumping out a small batch of cinnamon buns at work every day for the last couple of weeks. Thought I’d just pop a shot of them here and I’ve included the recipe below. 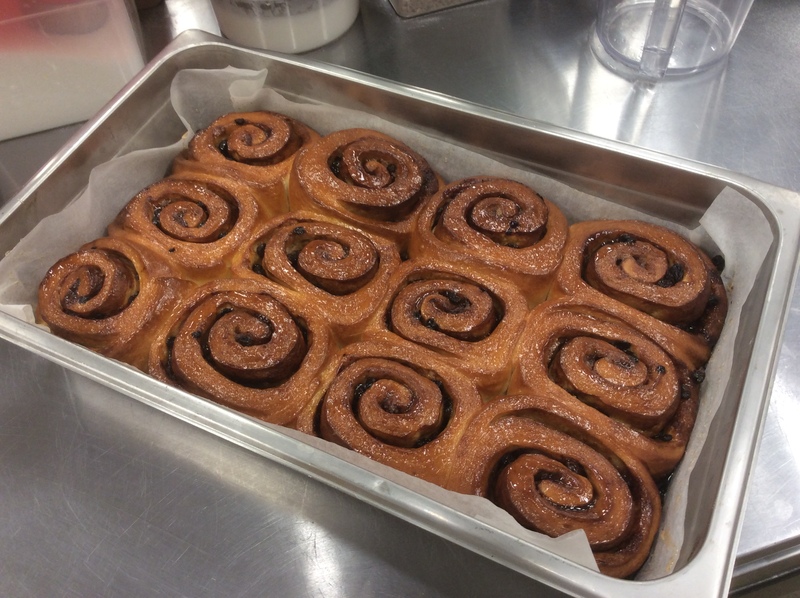 I’ve been making these same cinnie buns at the last two places I’ve worked and they are a hit, pretty well selling out each day. Shown below is the cinnamon-raisin version but I’ve switched out the fillings to other combinations as well, sometimes adding nuts, sometimes using cranberries, sometimes switching out the brown sugar for pastry cream. 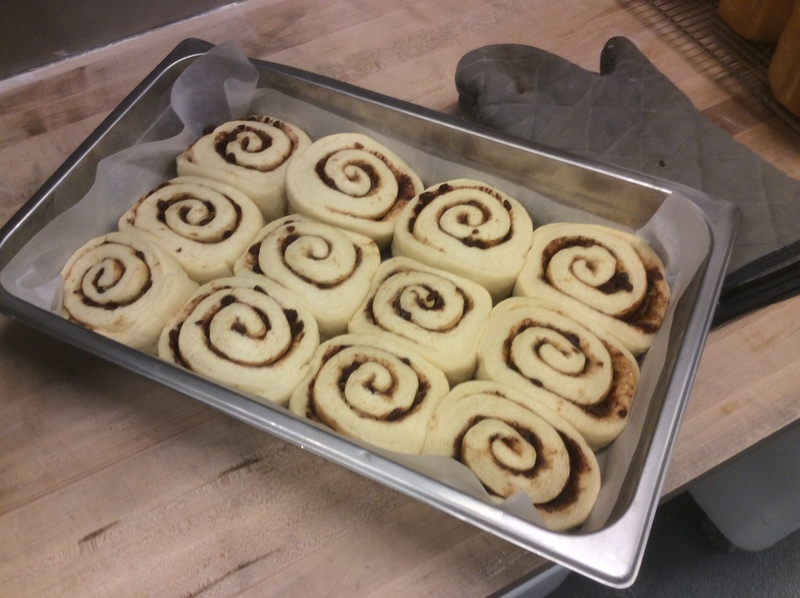 For the Sweet Dough, I’m using a recipe that can be found in Ciril Hitz’s book, “Baking Artisan Pastries & Breads” on page 120.